The Israeli population in European countries is growing, with Israelis relocating for myriad reasons. Even though these Israelis often find themselves in countries with established Jewish communities, many do not feel a connection to the local Jewish community due to language barriers and the synagogue-based religious underpinnings of community life. However, it is important to them and their families to belong to a Jewish ‘community’ that is relevant to their views and lifestyle. 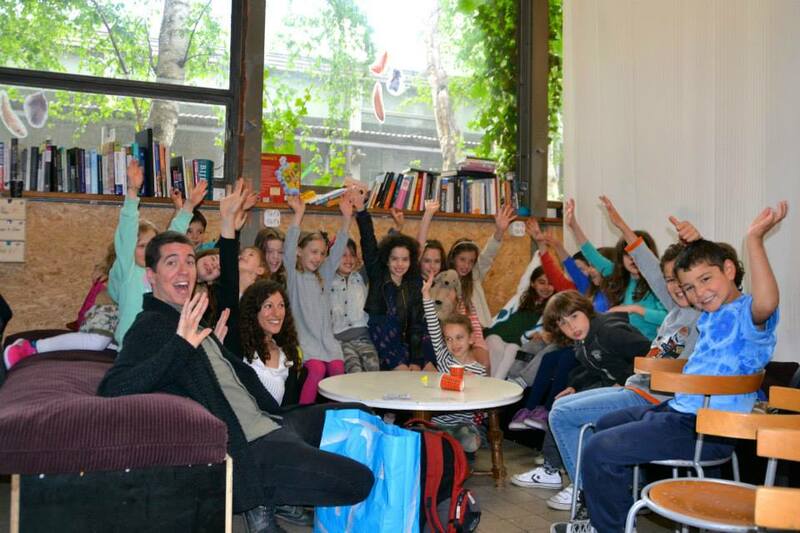 A group of expat Israelis in Amsterdam has established a community model that meets the fundamental elements that many are seeking for themselves and their families. The model is now developed enough to share with other Israeli communities living in the diaspora. The Amsterdam group established a formal ‘kehila’ of some 70 families – using their weekly Sunday school as the anchor of the broader initiative. The school conducts cultural, social and educational activities in Hebrew and within an Israeli-Jewish-secular-pluralistic atmosphere, where love of Israel and Jewish traditions are integral factors. The school is run by professional staff with very active involvement of parents. The unique educational framework addresses the challenges of nurturing the identity of second generation Israelis growing up in diaspora communities. Based on their experience and the professional expertise they’ve developed, the Amsterdam kehila is in the process of establishing an institute that will encourage similar groups of Israelis in other places to also establish their own ‘kehillot’. The group is willing and eager to provide professional advice and assistance in the development of the educational programs. Utilizing the existing school in Amsterdam as a ‘lab’ for visiting teams of Israelis living in the diaspora who are interested in learning about/ establishing a similar model in their own communities. A small team of consultants from the Amsterdam kehila will also visit interested communities to help them set up their own kehilot. Creating and operating a support service for diaspora Israeli communities engaging in educational activities for children. The kehila will set up an internet-based service that creates, collects and disseminates materials regarding “how to” set up appropriate educational frameworks; teacher preparation programs; lesson plans; creating, identifying and adapting interesting and culturally appropriate educational materials; and relevant articles, materials and other resources, etc. The service will also form a foundation for establishing ongoing contacts and creating a forum for sharing ideas between practitioners and parents. The Pincus Fund for Jewish Education is a longtime supporter of the development of educational institutions and is pleased to be involved with this innovative educational initiative, which addresses the specific challenges – such as relevance and identity – faced by Israelis families in the diaspora. The Pincus Fund’s support of the Amsterdam group, who are providing consulting and other services to other communities of Israelis who are living in Europe and elsewhere, will allow this excellent model to be more widely disseminated and implemented.